Your Bookkeeper is one of the most important members of your team. Without their assistance, you wouldn’t be able to run your business. SBA * Consulting can provide virtual bookkeepers who can make sure your accounting is clean and error free. All work is performed under the supervision of experienced Chief Financial Officers. Our bookkeepers will be able to provide you with month-end statements faster and more accurately. Using the Xero Accounting SaaS based system, along with such 3rd party add-ons like HubDoc, you as the business owner will have all your accounting files accessible and secure. In addition, SBA * Consulting can assist in implementing other 3rd party add-ons. Need help with tracking business expenses (we use Expensify)? Need to track time and billing (Harvest)? Xero has scores of add-on software packages. Manufacturer? In the hospitality industry, retail automotive? Xero has 3rd party software for your needs plus many other industries and sectors. 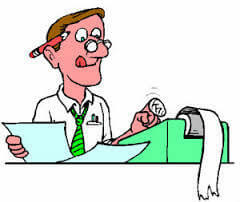 Why pay for bookkeeping and a bookkeeper full-time when we can do it quicker, cheaper and more efficiently. As an added bonus, SBA * Consulting can perform a wide range of extra services as Chief Financial Officers. We can help you run your business with such tools as Float and Spotlight Reporting. Of course you’ll have our expert interpretations and advice for how to maximize all aspects of your business for increased profitability and maximum profit. Why not contact us today. Schedule a call now. Fun Fact: Celebrities who began their careers as accountants, bookkeepers, or CPA’s include Ultimate Fighting Champion Chuck “The Iceman” Liddell, jazz artist Kenny G., comedian Bob Newhart, author John Grisham, Rolling Stones’ front man Mick Jagger and singer Janet Jackson.